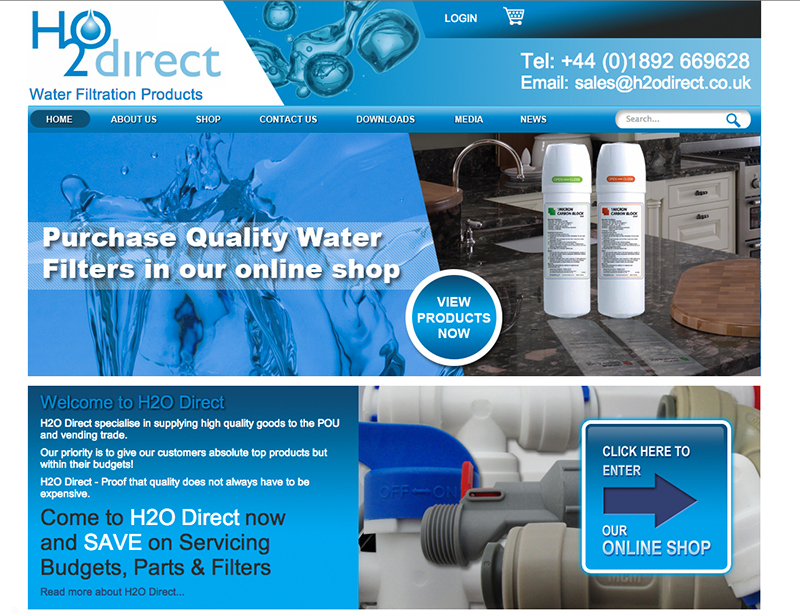 Republic Media were tasked with developing a new bespoke e-commerce website for H2O Direct in Crowborough. 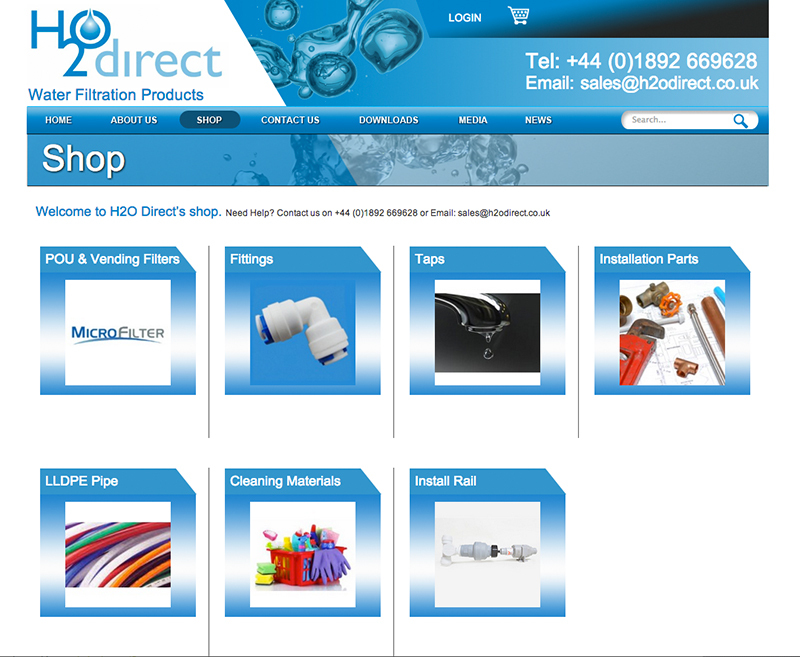 Republic Media handled the project management and developed the work flow of the website. All creative elements were also produced by Republic. 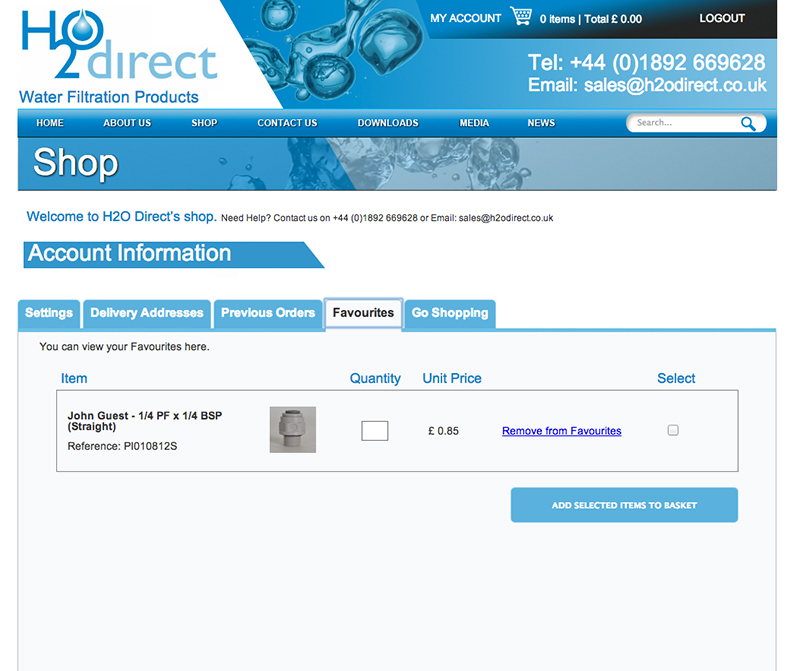 The admin area is custom built Content Management System to allow for traders and general public purchases of H2O Direct’s product line.